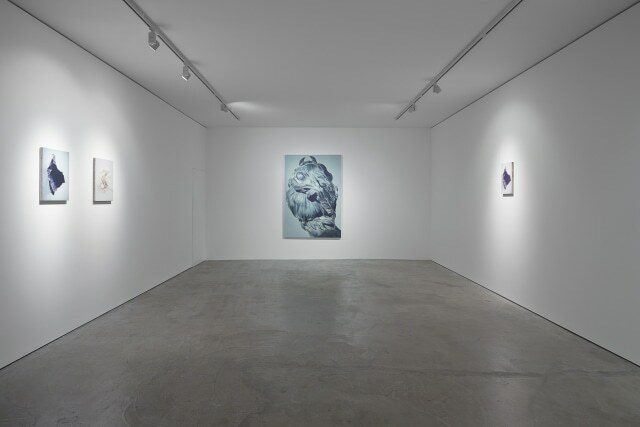 Edel Assanti is pleased to present an exhibition of Christopher Hanlon’s recent work. Hanlon’s new paintings depict objects severed from their origins, seemingly extracted from an absent whole as though fragments of imperfect memories or sentimental reference points. Rendered with precision and virtuosity in muted palettes, the abstract and figurative painted components are stripped of recourse to a unifying or underlying narrative. The paintings occupy a neutral space of fleeting otherness or déjà-vu, alluding to vulnerability and limitations of communication, be it visual or linguistic. Christopher Hanlon graduated from Brighton University in 2002 before completing an MFA at The Royal College of Art in 2008. Recent solo exhibitions were presented at Domo Baal (2009 and 2014) and at Timothy Taylor Gallery in 2009. Group exhibitions include Carousel at Slate Projects, London (2014), Polemically Small at Torrance Art Museum, California (2011), Pokerface Koraalberg, Antwerp (2010), Featuring at Chez Valentin, Paris (2009), and Hanlon was part of Bloomberg New Contemporaries in 2008.